Finding the right gift for friends, family members, business partners, or acquaintances can prove challenging. The SHOEPASSION.com voucher is a wonderful gift idea for all women with style. Leave it to the voucher-holder to select the shoe of her choice from our diverse collection of Goodyear-welted women’s shoes. Whether she prefers classic models like Oxford and Derby shoes, stylish slip-on shoes, ankle boots, or winter-ready footwear, she will find the perfect pair for any occasion in our women’s shoe selection. Our women’s shoes are all fitted with world-renowned Rendenbach soles—each model is high in quality and guaranteed to last. 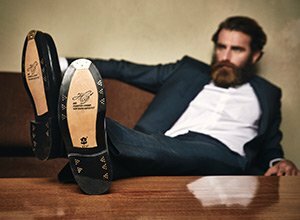 Of course, the SHOEPASSION.com voucher is not limited to our dreamy Goodyear-welted shoes, but can also be redeemed for our premium shoe care products and accessories. From fine shoe creams to high-quality brushes, practical shoehorns to fitting women’s shoe trees, our comprehensive assortment of shoe care products has everything you need to guarantee your footwear a long and happy life. The voucher can be redeemed for all SHOPASSION.com products, and is valid for three years from the date of purchase. Your voucher will be sent to you by post in the form of a high-quality folded card. On the inside of the voucher card you will find a code that you will later be asked to provide as you redeem your voucher on SHOEPASSION.com. If your purchase costs less than the value of your voucher, then your voucher will be credited the remainder.